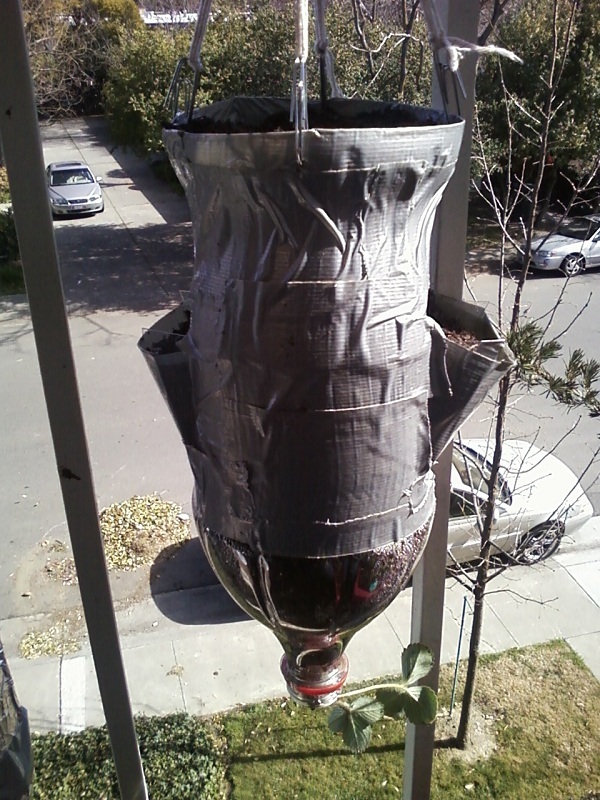 You might have seen that ad for the upside down tomato planter on TV. Well, dozens of other plants can also be grown upside down, like peppers, strawberries, cucumbers, eggplant, and other similar plants. I recently acquired some strawberry plants from the hardware store and did quite a bit of research. I drew up a sketch in paint of what I wanted to construct. I'll go through the parts of the planter. 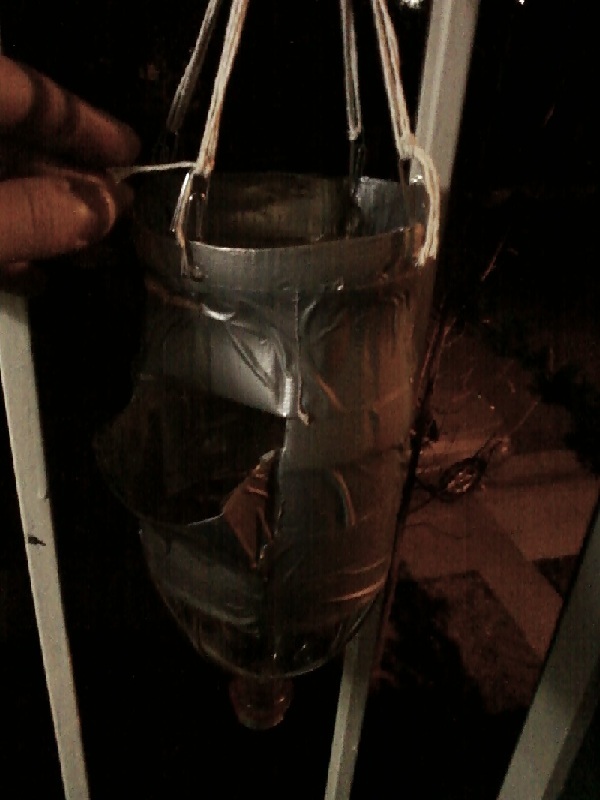 Firstly, it is made from a 2 liter bottle because it is an ideal vessel to be the base of my planter. They are cheap, lightweight, easy to work with, and made with food grade plastic. Plus I have several still lying around that I haven't used for my other planters that I can use. I wanted a hanging planter, as it would be able to get significantly more sun on the balcony. Because the planter is hanging, I can grow a strawberry out the bottom (inverted). 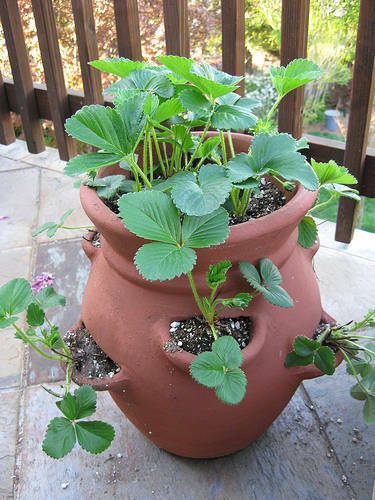 If you were to search "strawberry planter" in an image search, you'd see many clay pots with openings on the side like this one. My design captures this element in the little cutouts on the side of the bottle. Strawberry plants send out runners (known as stolons) to propagate, essentially creating new plants in the area surrounding them. One strawberry plant can cover an entire field if given the proper growing conditions. They would be considered weeds if they didn't produce such delicious fruit. What I am hoping for, as I only have 1 extra plant from the planter I bought from the store, is that it can send runners to each of the little opening, filling the entire pot. Why not put this theory into practice and build? Here is the planter I was able to construct with my materials. Compared to my drawing, the model does not have as many openings on the side that I had hoped for. I could only open up 2 because of the height of the bottle and due to the location I have it in. I was hoping for putting a hole every 90 degrees, staggered vertically, but the bars on my balcony ledge limit the planter to 180 degree openings. Because of the way the bottle is sloped, I could not fit 2 openings for each face. I opted for a much larger hole centered in the middle of both sides. The total capacity of this planter is 4 plants; 1 at the top, 1 at the bottom, and 2 at the openings. Next thing I did was plant the extra strawberry plant I had. The pot I purchased had 2 bigger plants and the one smaller one that I uprooted (most likely a runner from one of the others). 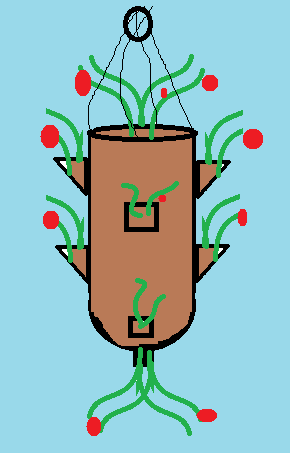 I decided that the first spot to fill would be the vertical position (at the bottom) because I could then fill the rest of the planter with soil. It's easier to squeeze the plant through the mouth of the bottle now then it would be to later when its filled with soil. Plant went into the bottom hole, and the rest of the bottle was filled with soil. 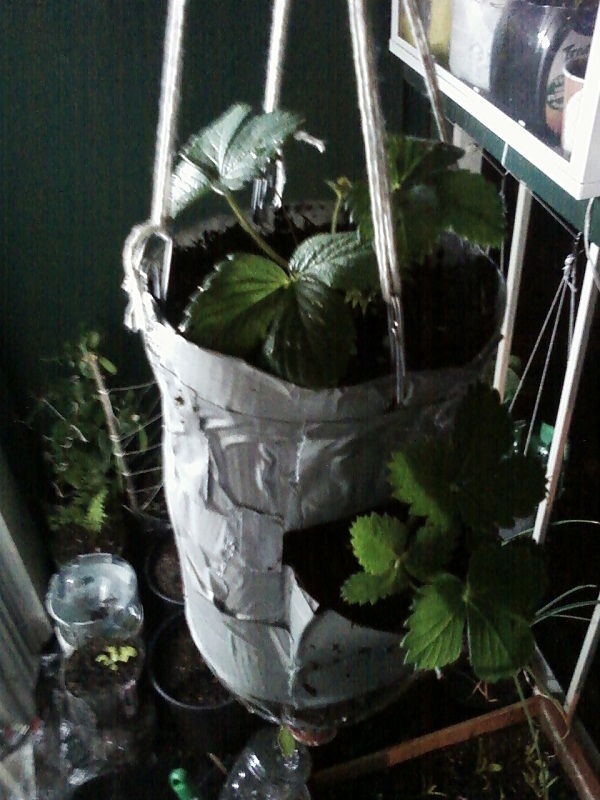 I will update later on how the strawberry plant does. Now with more strawberry plants!